Yesterday Jen and I took the kids to a local animal farm. 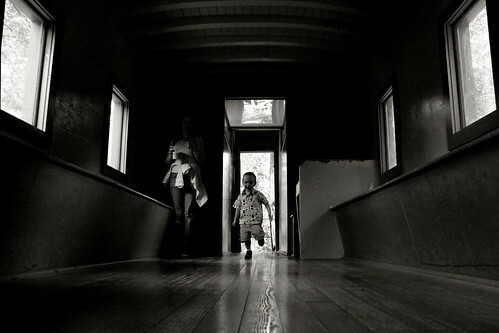 This was taken in the old train car the kids are allowed to play in. See it BIGGER on my photoblog.